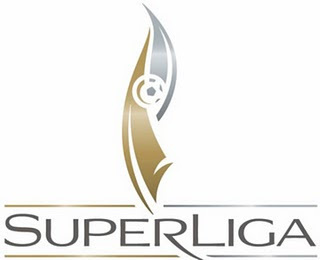 There was a very pleasant surprise with the last set of games in Superliga group play. The four MLS teams each defeated the four Mexican League teams, giving the MLS squads first place (and third place) in both groups. Houston Dynamo beat Puebla 1-0 to win Group A, and Chivas USA salvaged a 1-0 win over Pachuca for third place pride. In Group B, New England defeated Morelia 1-0 to take the top spot, and Chicago Fire managed to earn their only win of the Superliga 1-0 over UNAM Pumas. Houston will take on Morelia in the semifinal, while New England will face Puebla in the other semifinal, setting up a possible all MLS final, or all Mexico final. Houston Dynamo and Puebla played the first half to a 0-0 tie, but in the second half, Puebla's Edgar Lugo beat Houston goalkeeper Tally Hall, but struck the post. Houston scored soon afterwards on a free kick from Corey Ashe to Cam Weaver, who headed the ball to Ghana's Dominic Oduro, who then scored the game's only goal in the 62nd minute. Both teams finished with nine men, as Houston's Danny Cruz received two yellows, Puebla's Melvin Brown and Alvaro Gonzalez were both ejected for a late altercation, and finally the goal scorer Dominic Oduro was ejected in the 92nd minute. In addition, Houston's Joseph Ngwenya of Zimbabwe, tied for the lead with two goals in the Superliga, will also be suspended due to his second yellow card accumulated in the group stage. Also in Group A, Chivas USA kept Pachuca winless with a 1-0 victory in their final game. Giancarlo Maldonado of Venezuela scored his first goal for Chivas USA in the 7th minute, and the lead held the entire game. Chivas USA finished with a win, draw, and loss for third in the group. The New England Revolution have been perfect in the Superliga with three 1-0 victories. The latest was over Morelia. Rafael Marquez Lugo (not to be confused with Rafael Marquez) had two shots miss the goal early, but Matt Reis is not an easy goalkeeper to beat. In my humble opinion, Matt Reis should immediately be considered the United States third goalkeeper the day Marcus Hahnemann retires. In the second half, Serbia's Marko Perovic of New England stole a weak clearing attempt from Morelia's Adrian Garcia, and Perovic scored his second goal of the competition to give him a tie for the Superliga lead in the 62nd minute. Matt Reis protected the 1-0 lead the rest of the way. Lastly, Chicago Fire finally turned their Superliga around with their first win of the competition, 1-0 over UNAM Pumas, who finish the tournament winless. What was the change? It may have been replacing ineffective goalkeeper Andrew Dykstra of Honolulu, HI, who let in five goals against Morelia, with rookie Sean Johnson out of Central Florida, who lost to New England 1-0 but was excellent against Pumas. Colombian National teamer William Conde scored for Chicago in the 35th minute, on a header from close range. The second half was all Pumas and all Sean Johnson, who made two consecutive saves in the 69th minute to preserve Chicago's win. Congratulations and good luck to the two group winners New England and Houston, both representing the United States of America and both facing semifinal opponents from our neighbors to the South, the United States of Mexico (yes, that is the full name of the country, look it up!). Probably not coincidentally, each of the four semifinalists also has a player tied for the scoring lead with two goals: Joseph Ngwenya of Houston, Mario Ortiz of Puebla, Marko Perovic of New England, and Luis Angel Rey of Morelia.